The Defence of Arlam StationGraphic novel length first issue! Straight out of the pages of Mack &amp; Mondo comes a new supernatural operatic crime epic from Millicent Barnes Comics. New characters. New artwork. New world. Kicking off the series we see Blood forces move on Arlam Station resulting in a spectacular battle. You have been told. 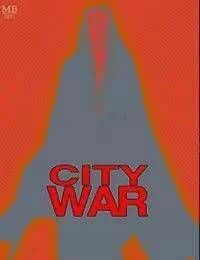 City War.